By accepting our services and/or purchase of goods you are contractually agreeing to GVG Brooks Equine Veterinary Practice Terms & Conditions of Business as printed below. All fees, consumables and drug charges are subject to VAT at the current rate. Professional fee levels are determined by the time spent on a case and according to the drugs, resources, materials and consumables used. Details of our fees are available on request and a detailed invoice is provided for every consultation, procedure or transaction. If requested, we can provide a written estimate of the costs (not a quotation) of treatment. Clients should be aware this is an approximate estimate as variations and complications may arise resulting in further costs being incurred. You may obtain Prescription Only Medicines Veterinary, (POM-Vs) from your veterinary surgeon OR ask for a prescription and obtain these medicines from another veterinary surgeon or a pharmacy. You will be informed, on request, of the price of any medicine that may be dispensed for your animal. Out-of-hours fees are charged when a veterinary surgeon is called to attend to your horse outside of the normal office hours 8.00 am – 5.30 pm Monday to Friday. There are occasions when we incur costs on your behalf, such as tests performed at specialist laboratories and these will be invoiced to you at a later date. Payment of invoices is due within 30 days of the date of the invoice. We reserve the right to charge 5% interest fee on balances remaining unpaid 30 days after the date of the invoice. Non-payment after 60 days will result in court action, incurring debt collection fees which will be added to the total debt. We may also inform local Equine Veterinary Practices to make them aware of the reasons for legal action being taken to recover the debt. Failure to comply with payment terms may result in you no longer being able to have credit facilities with the Practice so all treatments will then have to be paid for at the time of supplying goods or services, otherwise we will be forced to proceed with the complete withdrawal of our services. If, for any reason, you are unable to settle your account please call the office straight away to make us aware. Please be advised that instalments or part-payments of any accounts can only sanctioned with the express permission of the Directors. Late payment interest charges will still be levied onto your account each month until the account is paid off in full. In certain situations, we understand that requests will be made by persons acting as your agent, such as stable manager or stable owner. We will assume, unless advised in writing by yourself, that they have your authority and are acting in your interest and on your behalf. It is the client’s responsibility to keep their account update with current contact details. We welcome new clients who have completed our registration form and given credit/debit card details for settlement of all invoices in the first 3 months and/or until an acceptable credit rating have been established. If the horse(s) have been previously treated by another veterinary practice it is useful for you to arrange the clinical history be sent to us at the time of registration. We politely ask you contact your previous practice requesting they provide this via email to admin@gvgbrooksequine.co.uk. You can ask us to stop treatment of your horse at any time, likewise we can stop treatment if you do not accept our advice, fail to pay your account within the 30 day period or if we are prohibited by law from doing any further work. Also we will stop treatment, if sadly; the relationship between you and us breaks down. On termination of work we will invoice you for any work already done and we reserve the right to hold your horses records, xrays, etc. Information pertaining to pre-purchase examinations remains the property of the individual instructing the Practice. If the horse being vetted is known to the Practice, should the prospective purchaser ask, we have to disclose the clinical history to them. Should this request be refused by you, the Vendor, then we will decline to carry out the vetting for the prospective purchaser. We can only prescribe medications for animals that are registered with our Practice and have already been treated and/or inspected by one of the Practices Veterinary Surgeons for the condition that the medication is required. To comply with current regulations we cannot supply medication or prescription without first seeing the animal. Written prescriptions are available from this practice. You may obtain Prescription Only Medicines Veterinary, (POM-Vs) from your veterinary surgeon OR ask for a prescription and obtain these medicines from another veterinary surgeon or a pharmacy. Your veterinary surgeon may prescribe POM-Vs only for animals under their care. A prescription may not be appropriate if immediate treatment is necessary. You will be informed, on request, of the price of any medicine that may be dispensed for your animal. The general policy of this practice is to re-assess an animal requiring repeat prescriptions every 6 months, but this may vary with individual circumstances. The standard charge for a re-examination is £ 15.00 and the prescription fee is £16.00. Further information on the prices of medicines is available on request. We ask that you give us 24 hours notice when ordering repeat prescription drugs either for collection from the office or to be posted. All drugs must be approved by one of the Veterinary Surgeons before our Reception staff are authorized to issue them to you and in some cases, we may have to order the drugs into stock so please do allow enough time. All drugs must be paid for at time of collection or before being posted. Drugs posted out are sent by recorded delivery and there will be a charge to cover post/packing at current Royal Mail rates based on size and weight. It is your responsibility to submit claims to your insurer and to be reimbursed by them. To defer this requirement, this will only be considered on the basis that the insurance form is signed so payment is made direct to this Practice and that your insurance company has agreed to the claim in principle. You will be required to pay the excess and any costs not covered by insurance i.e. livery fees and any part of the claim that has been rejected by your insurance company for whatever reason. We are unable to liaise or negotiate with the insurance company on your behalf but we are happy to answer any veterinary queries where necessary free of charge. Please be aware that your insurance company will request the clinical history from us so do make sure you have answered all questions on the claim or renewal forms correctly regarding any previous claims, treatments etc concerning the horse you are making the claim for. Any discrepancies may cause a delay or rejection of your claim. 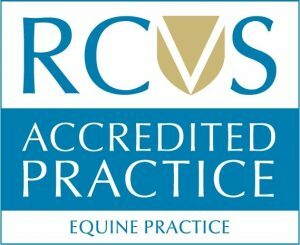 GVG Brooks Equine Veterinary Practice accepts no liability if your claim should be rejected, either in part or full and will ask that any outstanding invoices be settled in full for any veterinary treatment we have given to your horse. It is the responsibility of you, the policy holder, to ensure that your insurance company settle your account promptly and please be aware that you will be liable for any late payment surcharges on your account. Should the account remain unpaid for more than 60 days, we will ask you for full settlement to prevent any debt recovery action being taken. From 1st January 2018, we will be charging £12.50 +VAT administration fee for request for letters to be written to Insurance companies, other than those requested at the time of an initial insurance claim. We retain the responsibility for radiographs and ultrasound scans, but at your request these can be forwarded to another Veterinary surgeon. ‘Out of hours’ visits are charged when a Veterinary surgeon visits out of normal office hours, which are: 8.30 am – 5.30 pm Monday to Friday. the horse is consigned for slaughter for human consumption. The owner can, at any time prior to one of the above events, choose to sign the declaration. It must be remembered that once the declaration has been signed as ‘not intended for human consumption’, this can never be changed in order to protect the human food chain. You are advised to think carefully about the following points before deciding whether you wish to voluntarily sign your horse out of the human food chain. A ‘not intended’ declaration at Part II of Section IX cannot be reversed. though it may be many years ahead, what do you expect will happen to your horse when it reaches the end of its life, and what might it cost to dispose of it? • have you made financial provision for the euthanasia of your horse at the end of its life? if the declaration at Part II Section IX has not been signed, it will be necessary to keep a record of veterinary medicines administered. Certain medicines must be recorded in the passport itself. Your vet can advise you regarding this. Once horses have had their 3rd injection, we will send out SMS and/or email alerts for annual vaccination reminders as a courtesy but it is the Owner’s responsibility to ensure that their horses are kept up to date with vaccinations before the expiry date, as marked in the horse’s passport. Please have the passport with you when the Vet attends to do the annual booster. It is the client’s responsibility to ensure we have the correct mobile number to send the text alert to. Payment must be made in full either by leaving payment details with the office prior to the appointment, or cash on the day of the zone visit. Failure to do so will result in an invoice with the full visit fee charge payable. Procedures and consultations are limited to those listed above, and are at the discretion of GVG Brooks Equine. The following list includes procedures and consultations not available at the reduced visit fee: lameness or poor performance investigation, emergency attendance, pre-purchase examination (vettings), insurance examination, radiography (x-ray), ultrasound, endoscopy, gastroscopy, shockwave, laser therapy, reproductive procedures. We always aim to provide a high standard of care, and at GVG Brooks our mission is to provide excellence in equine veterinary care. We have a set complaints procedure that sets out how we will handle any complaint and this include resolution procedures. Please click here to find out more. Terms & Conditions may be revised from time to time and will be posted on the web site (www.gvgbrooksequine.co.uk). No variation to these terms and conditions will bind GVG Brooks Ltd unless specifically agreed in writing.